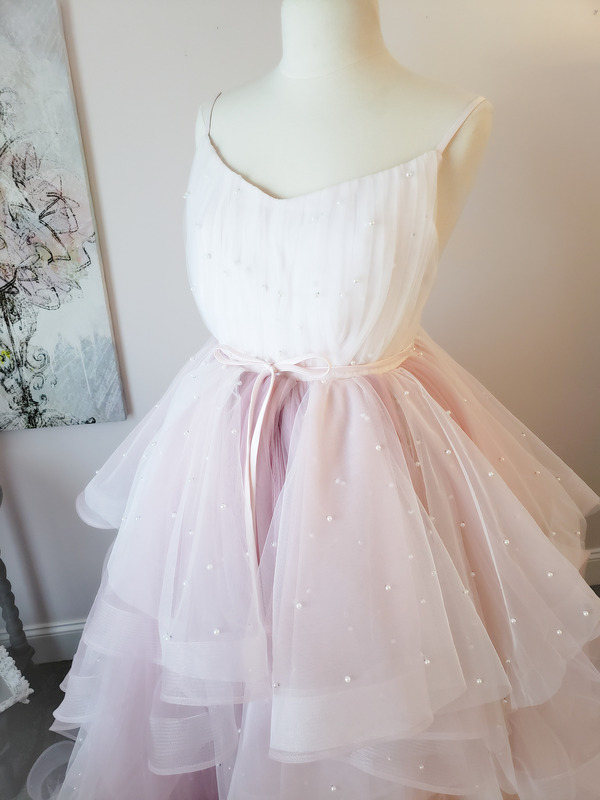 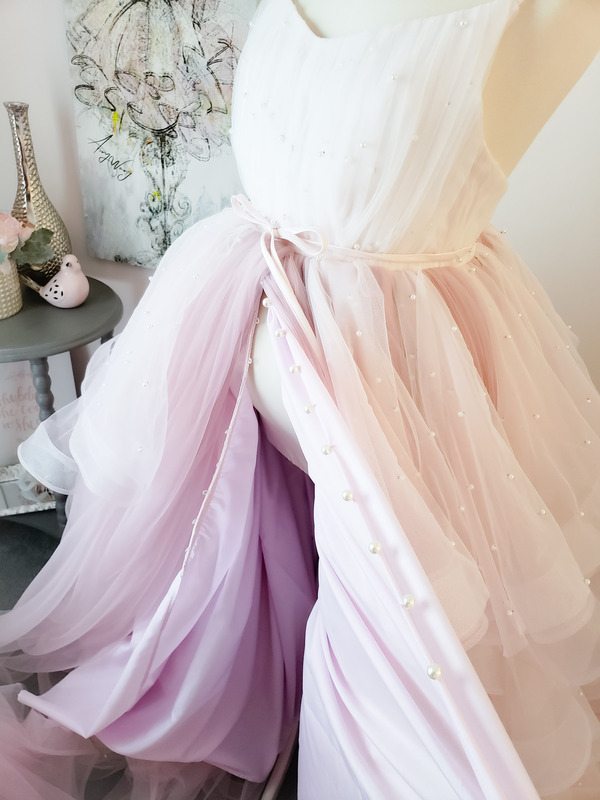 A mommy version of our "Young Love" design for girls, featuring layers of pearl-sprinkled mesh in off white mixed with soft pink mesh on a glorious floor long skirt. 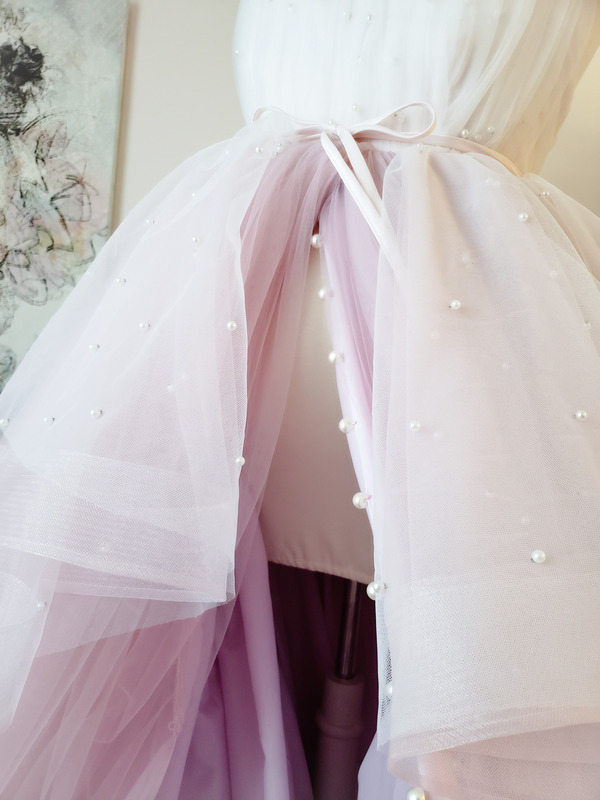 The gown opens up front, it has a bridal button closure on the lining which can be undone to reveal the pregnant belly. 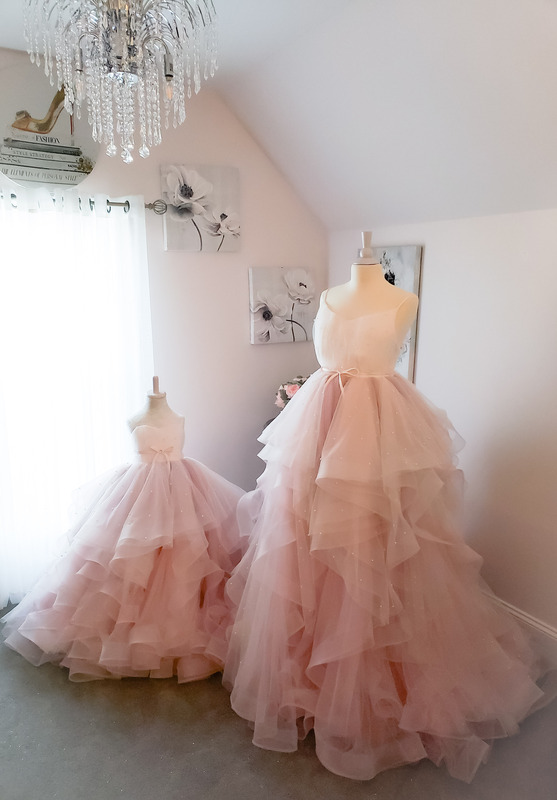 The gown is designed with extra length for dramatic draping on the ground for photography posing. 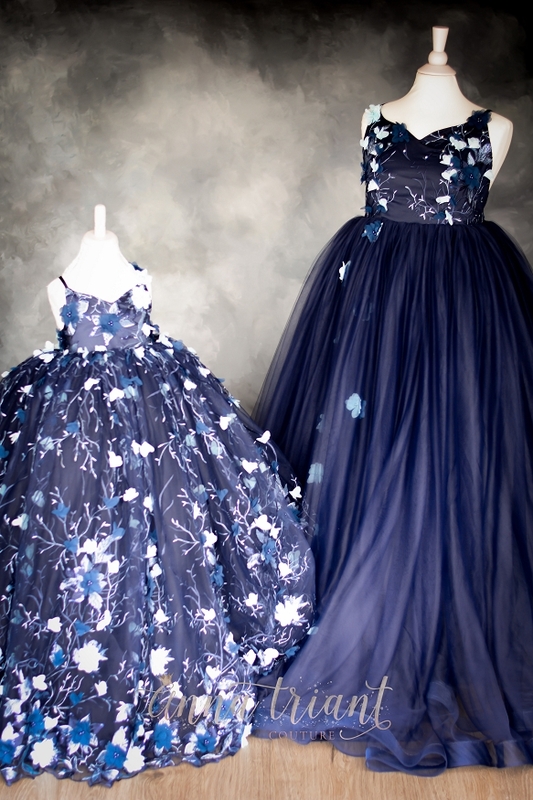 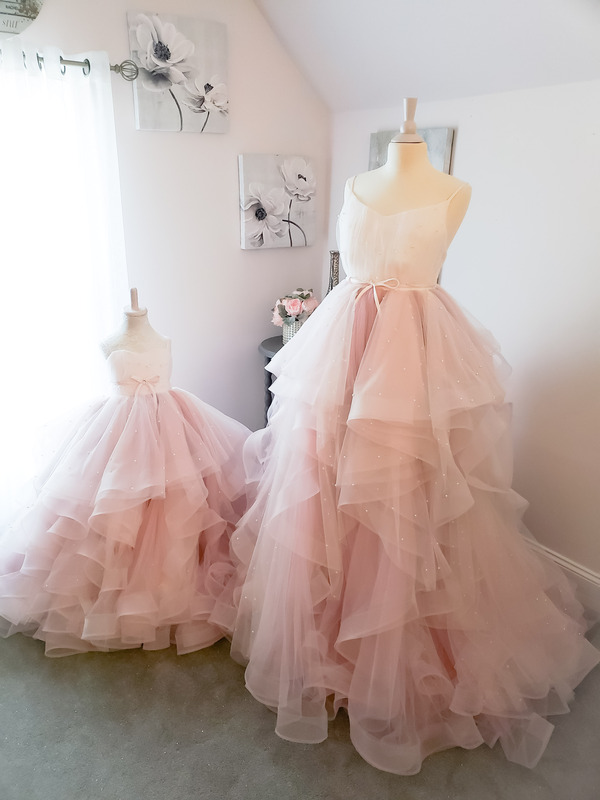 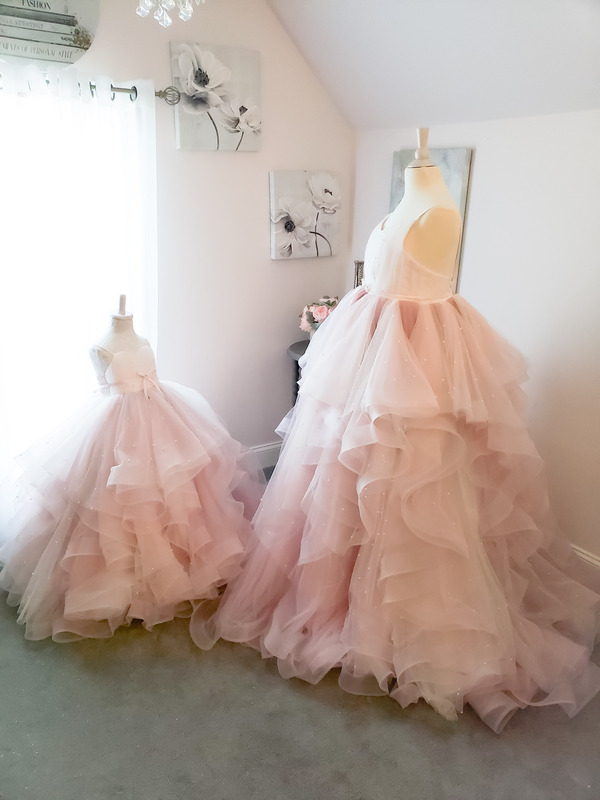 Our Young Love gowns can be made in custom colors - please email us with your custom order request.